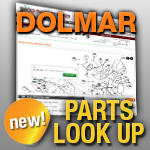 Have a Dolmar string trimmer that needs a new Trimmer Head? Check out our large selection below of manual feed and bump feed trimmer heads. We have single and dual line trimmer heads and the popular commercial-grade Pivo Trim. Click on a category below to learn more about that type of trimmer head.